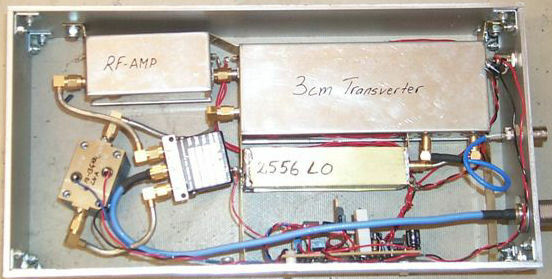 23cm transverter from old DUBUS magazine. 23cm cavity trippler with 2C39 tube. 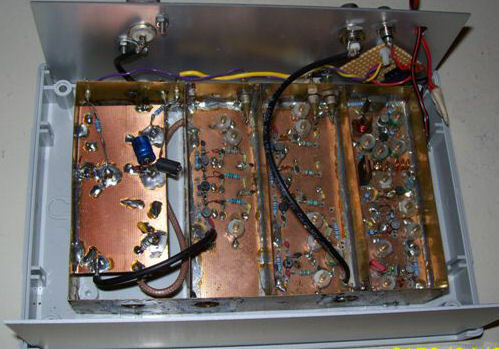 Could be rebuilt as 23cm amp by changing the input circuit. Before I had the HP tracking generator I made a simple one. It was for my HP8558 SA. 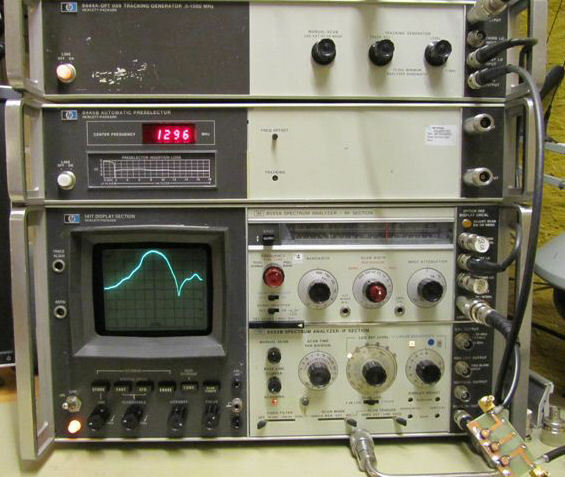 Later I could compare the homebrew TG with my HP141 and the 8444A TG. 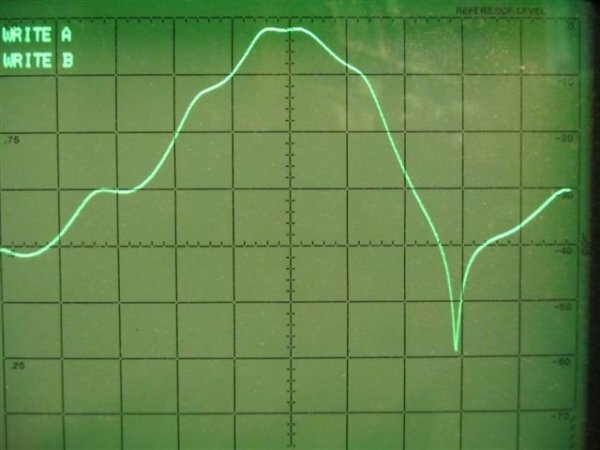 I made a simple strip-line filter for 23cm. 8558 and homebrew TG 1296MHz. 8444 with 141T. There is a 2db difference however the coaxial cables are longer. For a homebrew TG I think the result was pretty good. 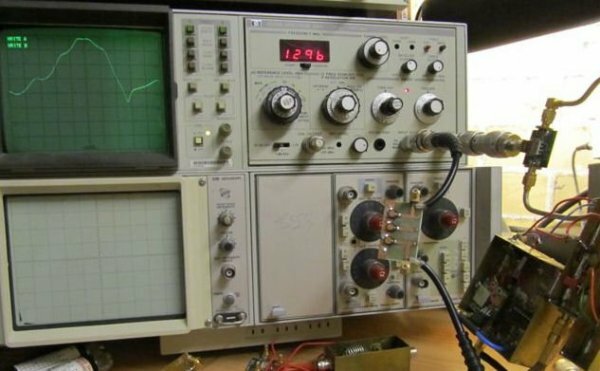 If you have a 8558 SA and need to extend the range you can do this with only 1 transistor and 2 50 Ohm resistors. The first LO out from the HP8558 is 2.055GHz this is equal to 0 MHz on the display to 3.555GHz which is 1500 MHz. 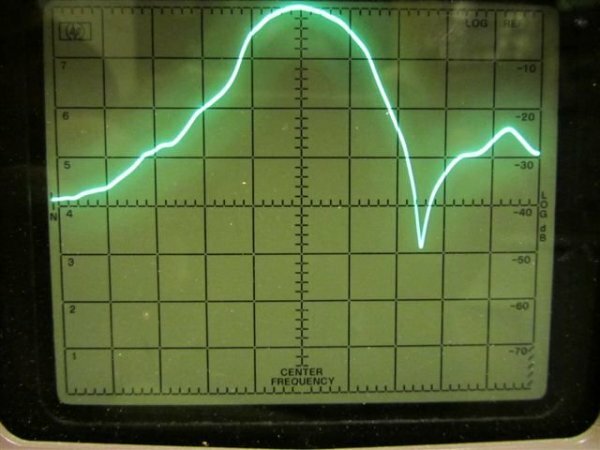 Feed this first LO signal to a mixer out from the mixer goes to the inlet of the spectrum analyzer. This means that 0MHz on the display will be 2.055GHz and at 1500MHz will be 5.555GHz. The "new" range will then be 2.055 to 5.555GHz. Note: Since the range now is 3 GHz will this make a dispersion setting of 5MHz 10MHz. 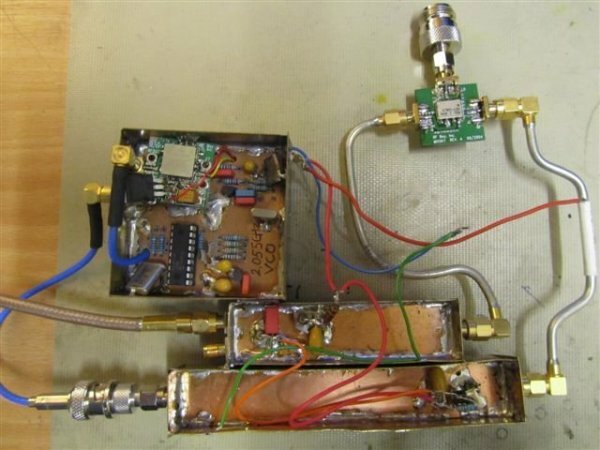 Use a suitable UHF transistor Ft 7-8GHz connect the emitter to LO out collector to the 8558 RF In base and emitter goes to earth with a 50 Ohm resistor. Signal in on the base. Of cource you can use a "real" mixer and a separate LO but this means more work.